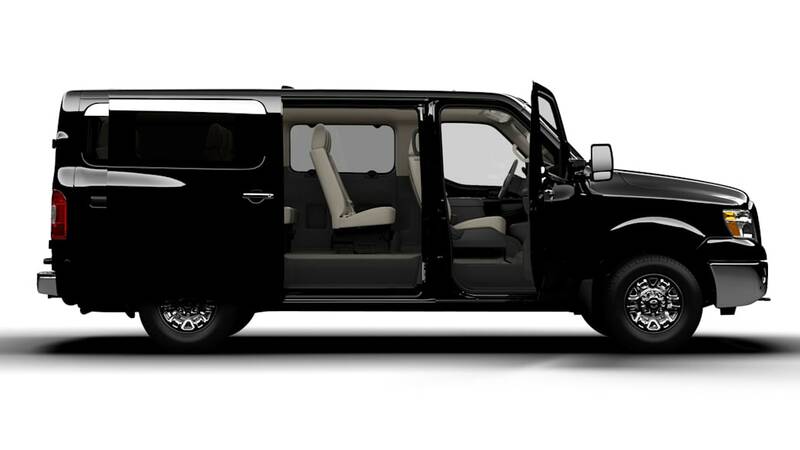 The NV passenger van is mechanically the same as its cargo van kin, meaning power comes from either a 4.0-liter V6 with 261 horsepower and 281 pound-feet of torque or a 5.6-liter V8 with 317 hp and 385 lb-ft of twist. Both engines are mated exclusively to a heavy-duty five-speed automatic transmission and only send power to the NV's rear wheels. 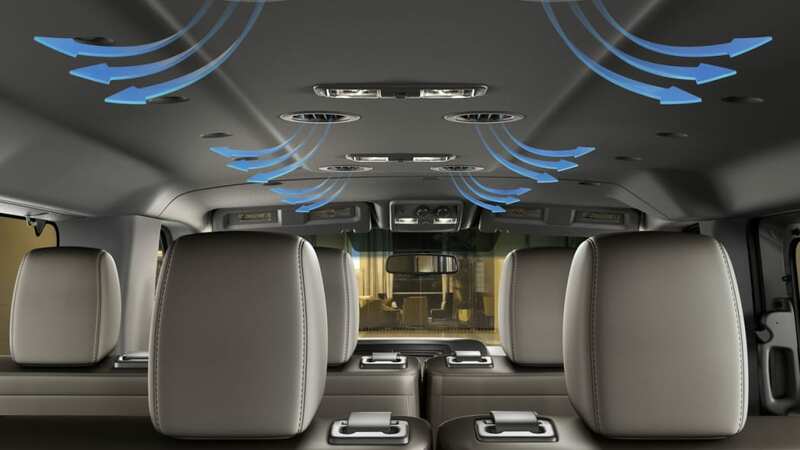 Inside, the NV3500 boasts all the creature comforts of any passenger vehicle, including a touch-screen infotainment system, lots of storage space and mobile office capability. 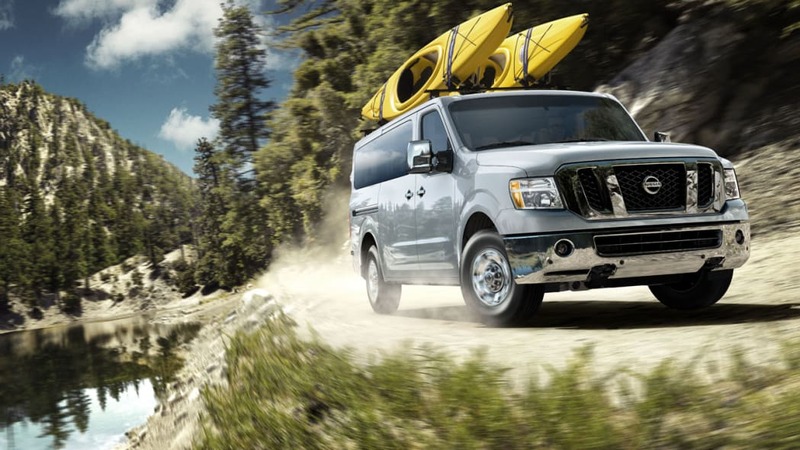 Nissan North America, Inc. (NNA) today announced pricing for the 2012 Nissan NV Passenger Van, which is on sale now at Nissan Commercial Vehicle dealers. The new 4-row/12-passenger Nissan NV Passenger Van joins the Nissan NV full-size commercial van series and is offered for both personal and fleet use. Driver and passenger comfort and safety are top priorities, as is flexibility – with a class-leading 324 seating configurations and segment-exclusive supplemental side curtain air bags for all rows. Just one year after its entry into the commercial vehicle business in North America with the segment-changing Nissan NV full-size commercial van series, Nissan is expanding the lineup with the new NV3500 HD Passenger Van. 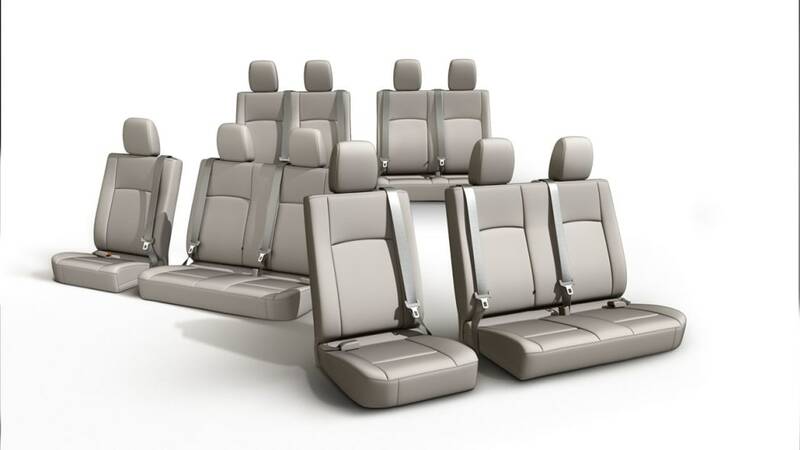 The 4-row/12-passenger Nissan NV3500 HD features the most flexible seating configurations in the full-size passenger van segment, along with standard curtain supplemental air bags for all four rows of passengers, and standard headrests and integrated seat belts for all rear seating positions. 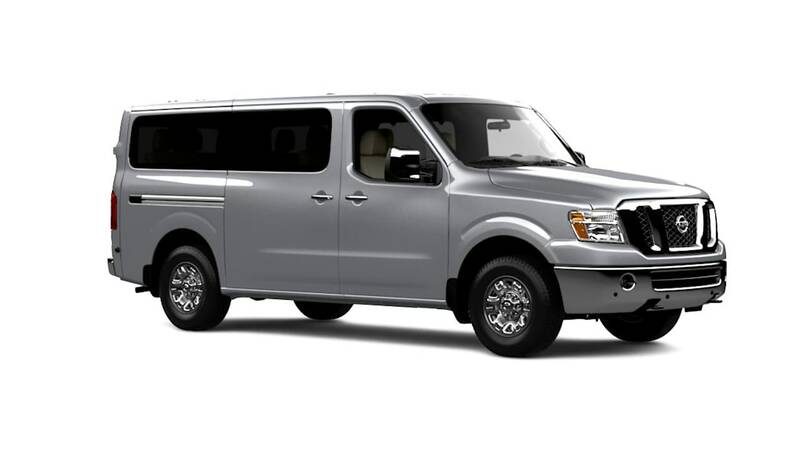 The 2012 Nissan NV3500 HD Passenger Van is offered in a choice of two engines, a 261-horsepower DOHC 24-valve 4.0-liter V6 with 281 lb-ft of torque or a 317-horsepower DOHC 32-valve V8 with 385 lb-ft of torque. Both engines include Nissan's Continuous Valve Timing Control (C-VTC) for improved efficiency and are matched with a refined, heavy-duty 5-speed automatic transmission. The Nissan NV3500 HD Passenger Van is built on a foundation of a rugged heavy-duty, fully boxed ladder frame, with independent double wishbone front suspension with twin-tube coil-over shocks, solid rear axle with rigid leaf springs, heavy-duty disc brakes with Anti-lock Braking System (ABS), and engine-speed-sensitive power steering. Also standard is a 28-gallon fuel tank. In addition, the Nissan NV3500 features SUV-like maneuverability and easy access for serviceability due to its pickup truck-like front engine/full hood design. 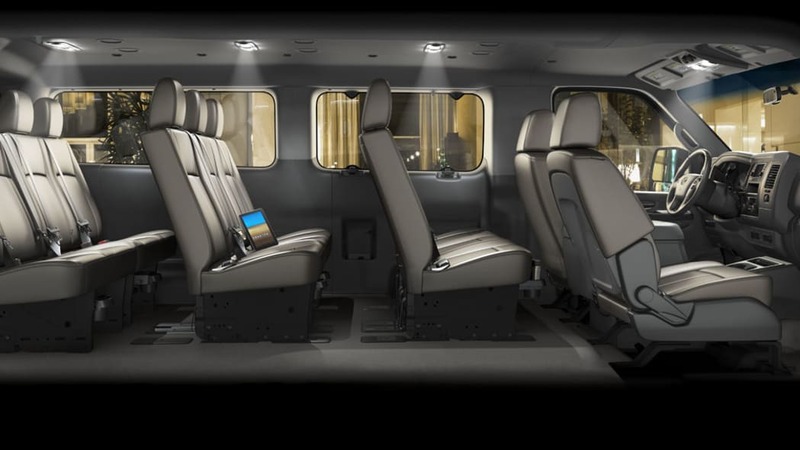 The NV Passenger Van's flexible seating features large comfortable 1st row seats with integrated outboard wear patches for durability, completely removable and repositionable split 2nd and 3rd row seats, and 50/50-split 4th row seat than can be partially or completely removed as needed. 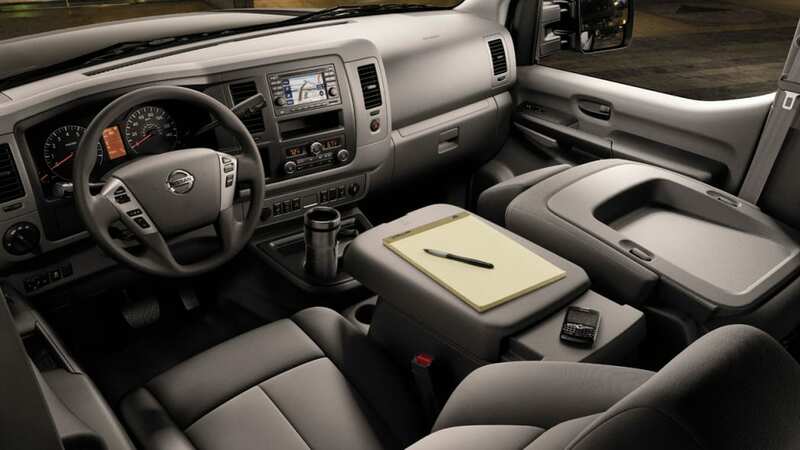 Mobile office support items include large center console with storage for laptop computer and charger, business cards, hanging files, pens and paper, available 120V outlets, and fold-down front passenger seat with underseat storage. Utility is enhanced utility with its low step-in height, easy ingress and egress without intrusive seat belts (integrated into rear seats), wide door openings, and rear 50/50-split French doors. The new Nissan NV Passenger Van is assembled in Canton, Mississippi and available through a select network of certified Nissan Commercial Vehicle dealers nationwide. 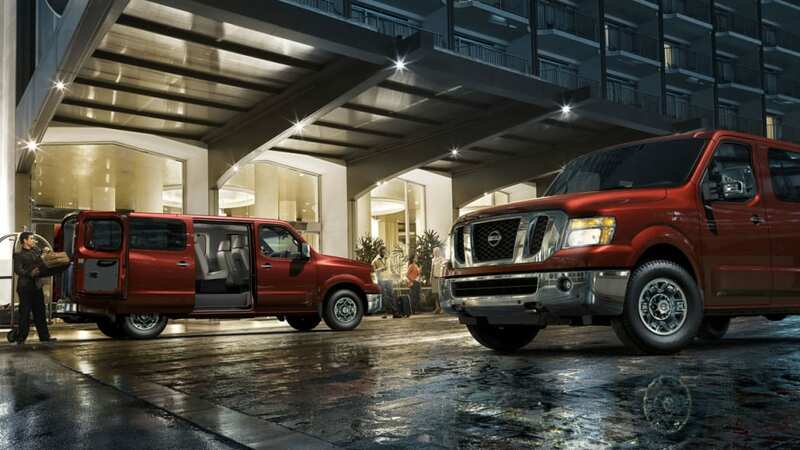 For updates and more information, please go to www.nissancommercialvehicles.com.